For winter sports enthusiasts, opening the door to a warm vacation home after a long Friday night drive is the ultimate welcome. 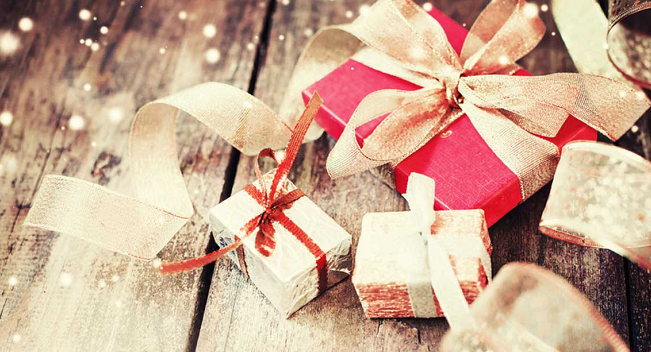 If transforming your winter cabin or condo from cold to cozy before you arrive sounds like a dream, upgrading to a remote control thermostat will make that dream come true. Whether you choose an internet-enabled model you can control from your smartphone or one that is landline or cell phone-based, there are countless benefits to being able to adjust the temperature remotely. 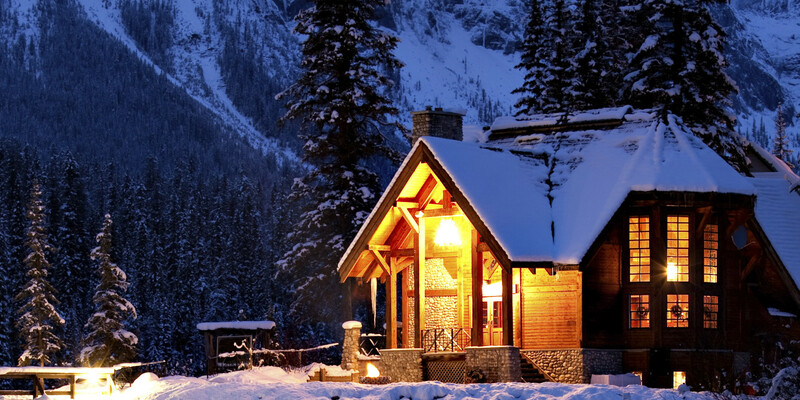 With a remote thermostat, you can adjust the temperature in your vacation house from virtually anywhere. 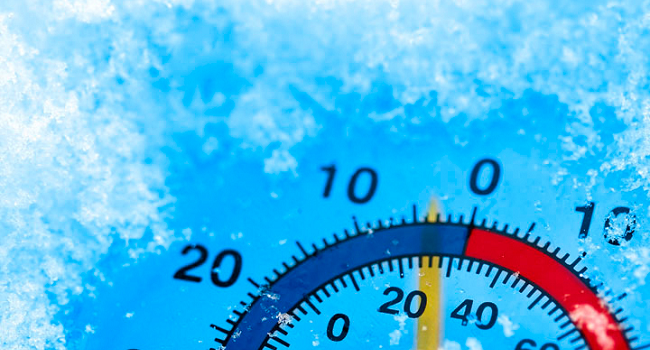 If you are a skier with a winter retreat, this means arriving to a pre-warmed home versus waiting hours for the bone-chilling cold to subside. In warmer climates, a remote thermostat allows you to pre-cool any home that is equipped with central air conditioning. A remote thermostat reduces energy bills because you’re no longer heating or cooling an empty house (it also lets you turn down the heat if you forgot to before leaving!) Regardless of the type of heating or cooling system you have, there is a compatible remote thermostat that will minimize energy consumption and protect your home from damage caused by excessive heat, humidity or freezing temperatures. Choose the model that works for you based on the type of communications methods available at your vacation home – Internet, landline phone or cellular. 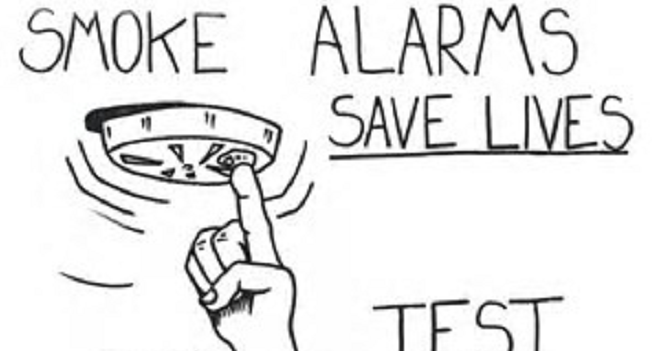 Many remote thermostats do double-duty as a heat or freeze alarm that notifies you by phone or email when temperatures in your vacation home reach dangerous levels due to unexpected power outages or furnace or A/C failures. This allows you to correct the situation before pipes freeze or extreme heat causes real damage. Some remote thermostat models like BAYWeb Internet Thermostat accept additional environmental and security sensors to alert you of other emergency conditions such as smoke, flooding and break-ins. 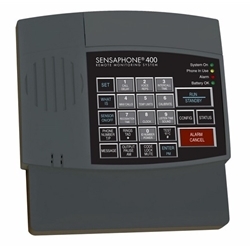 You can also pair an affordable phone-based remote monitor like the Sensaphone 400 with the Aube CT241 Phone Controller to get all of the monitoring benefits of the Sensaphone plus the ability to remotely change your thermostat setting over the phone. Nearly all remote thermostats allow you to call in to get a real-time temperature reading. And models that accept additional sensors also allow you to check for updates on conditions like water in the basement, burglaries and high humidity levels. If you choose an Internet-enabled remote thermostat, you can access status reports through your PC, tablet or smartphone. Simple DIY installation means you don’t need to hire an electrician or HVAC contractor. Your remote thermostat also eliminates the expense of hiring a caretaker to turn up the heat before you arrive or check the house for frozen pipes. And if you install a remote thermostat with additional sensors, you’ll be able to monitor for concerns like flooding and break-ins yourself instead of paying fees to a professional security service. 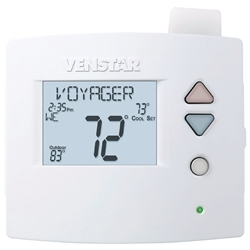 There is a variety of remote thermostat models for every user and budget. The first thing to consider when making a choice is whether you have Internet or phone service available at your vacation home. These are some of the most popular models in each category. An Internet thermostat (sometimes called a “Wi-Fi thermostat”) lets you turn up the heat from anywhere using your your smartphone. These models communicate with your Internet router via an ethernet connection or Wi-Fi and reports temperature and other alarms by email and text message. 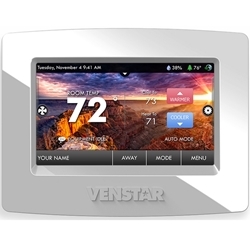 Homeowners love the touch screen display of the Venstar ColorTouch high resolution digital thermostat with built-in Wi-Fi.. It offers full HVAC control (Heat/AC/Off/Auto) and works with gas, electric or heat pumps and reports temperature by email and text message. The T7900 model features humidification and dehumidification control. A free mobile app is available for Apple, Android and Blackberry. 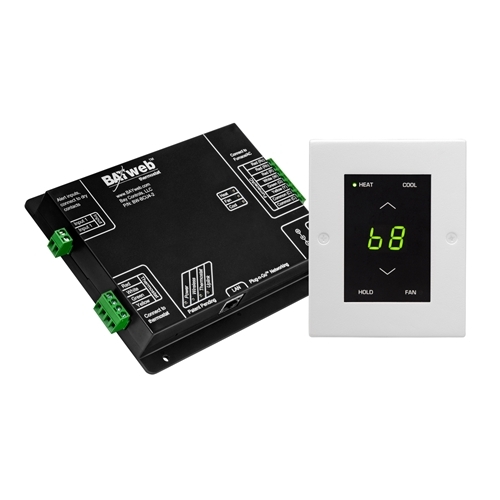 Energy-saving BAYWeb Internet Thermostats are fully-programmable and multi-functional. They work with gas, oil,or electric heat and feature comprehensive energy management reporting, analysis and alerting functions as well as energy setting threshold alerts. With the addition of optional sensors you can also monitor for sump pump failures and break-ins. BAYWeb offer a free personal web portal for controlling the thermostat from anywhere and a free smartphone app for Apple, Andriod and tablets. Many older vacation homes were built with electric baseboard heating systems where the thermostat control is located near the floor. 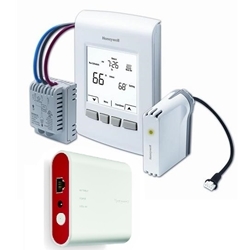 The Honeywell E-Connect w/Gateway offers all the benefits of remote temperature control plus a more efficient way to maintain a comfortable temperature in your home. It sends high and low temperature and humidity messaging alerts by email or text message and the RedLINK Internet Gateway provides remote temperature control via a smartphone, computer or tablet. 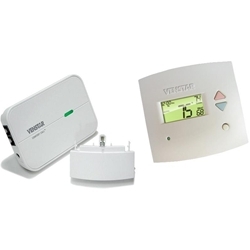 If your cabin or condo is already equipped with a smart home system, the programmable Venstar Voyager Residential Digital Thermostat is instantly compatible with the major smart home communications protocols by adding either a WiFi, Z-Wave and ZigBee module. The Voyager Thermostat works with gas, electric or heat pump heating systems and comes with a free mobile app for Apple, Android and Blackberry. It has all of the important features of the Venstar Colortouch thermostat plus an outdoor temperature sensor so you can modify your home’s temperature based on the current weather outside. If your vacation home does not have WiFi or a smart home system, a phone-controlled thermostat lets you control temperature remotely using any kind of phone. The Venstar Comfort Call Phone Controlled Thermostat Kit lets you ‘talk’ to your compatible thermostat from any landline or cell phone. The 1-Day Programmable Digital Thermostat will control up to two heat stages as well as one cool stage. One of the least expensive ways to get remote temperature control and freeze alarm protection is to combine a telephone thermostat with a landline phone-based freeze alarm like the best selling Deluxe Freeze Alarm, which automatically calls up to three phone numbers if the indoor temperature goes above or below your set points or the power goes out.